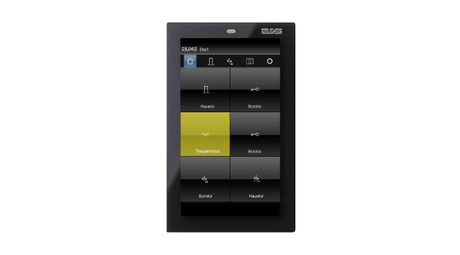 JUNG presents the Smart Control 5 as the latest extension to the Smart Control series. 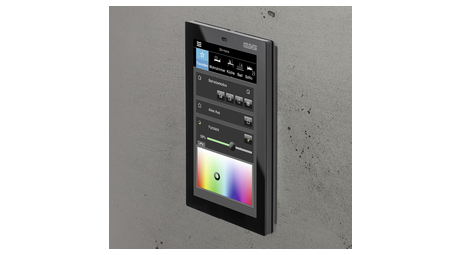 The small control panel fits into all standard flush-mounting boxes. In its functionality, the Smart Control 5 (size of frame: 81 x 132 mm, screen size: 127 mm/5.0”) is in no way inferior to its big brothers. 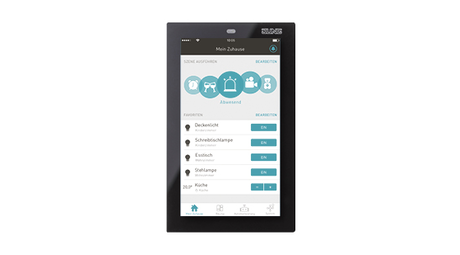 The Smart Control range from JUNG until now consisted of 7, 10, 15 and 19 inch control panels that allow the control of various systems for house automation. With the pre-installed apps for the “JUNG Visu Pro” visualisation server, “Smart Visu Server” and “eNet Server”, the operation of the building technology is made simply convenient. 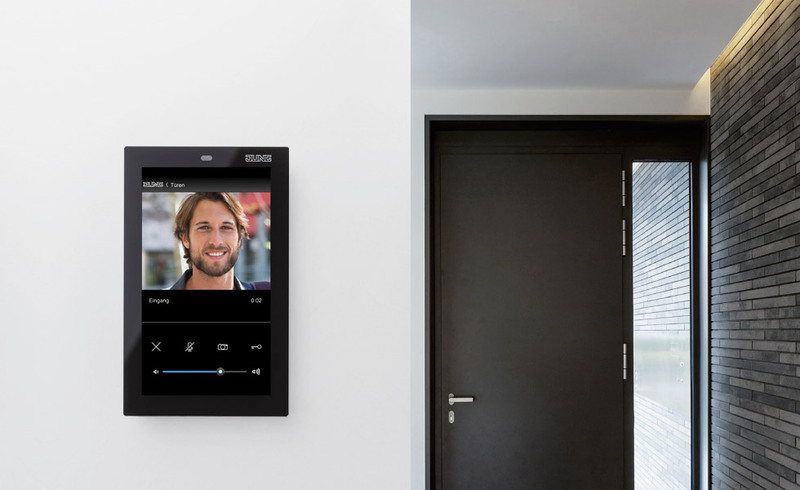 Using the combination with the Siedle Smart Gateways, the connection to the door communication can be implemented as normal. The high-resolution touch display is reminiscent of the newest smartphones in respect of its appearance, brightness of the colours and sharpness. With an integrated proximity sensor, the display wakes up from standby mode when the user wants to operate it. 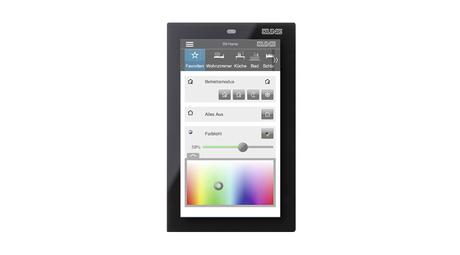 A brightness sensor automatically adapts the display brightness to the light conditions in the room. Retrofitting is easily implemented – the small-format panel fits in every standard box. 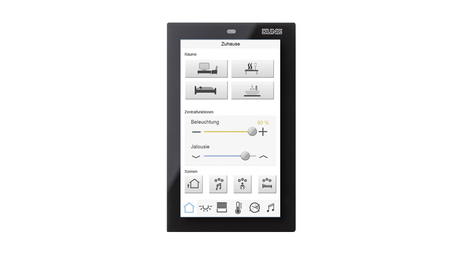 The high-resolution graphic display of the small Smart Control is reminiscent of the newest smartphones in respect of its appearance, brightness of the colours and sharpness. connection to the Smart Visu Server. connection to the JUNG Visu Pro Server. connection to the eNet Server.